Rebecca Kaden is a Partner at Maveron where she identifies emerging consumer-focused entrepreneurs in Silicon Valley, Southern California, and New York. 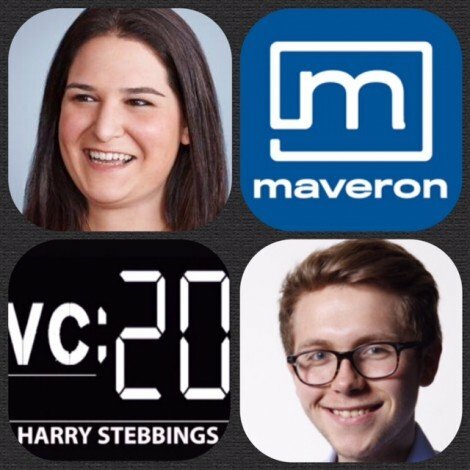 Rebecca also plays a leading role in Maveron’s seed program, where they partner with emerging consumer companies at their earliest stages. She’s a Board Observer at August, Common, Darby Smart, Dolls Kill, Eargo, Earnest and General Assembly. Her outstanding achievements have been recognised by Forbes who included Rebecca is their annual ’30 Under 30′. 2.) Maveron have shown their belief in the consumerisation of IOT. What are Rebecca’s thoughts on the space, how it is progressing, barriers that are preventing mass adoption? 3.) What is your take on the integration of messaging and chat with IOT? Whis there a recent broader market positivity towards chat interfaces at the moment? 4.) Maveron have also shown their likeability towards hardware investments so why is this? Why do Maveron not feel the broader VC market concerns of shipping, logistics? Are we seeing a shift in investing patterns in hardware? 5.) How do Rebecca approach the common problem with consumer startups transtioning from an early adopter market to a mass market product? What does Rebecca feel is the tipping point? What is necessary to make the transition from SF hipster client to everyone? 6.) What are the benefits are of having a narrow investing thesis (only consumer)? How has Rebecca found it? Is it challenging when finding companies you would like to invest in but are outside the mandate? As always you can follow The Twenty Minute VC, Harry and Rebecca on Twitter here! How many emails do you have in your inbox right now? A hundred? A thousand? The answer is too many. But here’s the thing—even though I knew I wanted to do something about it, I didn’t know how. It’s called SaneBox. SaneBox sorts through your email and moves all of the trivial stuff into a different folder so the only messages in your inbox are the ones you actually want to see. Visit sanebox.com/20VC today and they’ll throw in an extra $20 credit on top of the two-week free trial.